In 1296, friar Berenguer de Cardona, master of the Order of the Temple of Catalonia and Aragon, granted to the village of Orta 'Els Costums’ (The Customs), a set of rules that recognised the uniqueness of this town and its inhabitants. Tradition, territory and know-how. Maturity and expression. PREPARATION: The whole grapes reach the winery to be fermented in stainless steel tanks. With the whole fruit, the grape will maintain all the essence of the variety and of the land, transferring all the character of the territory. Lemon yellow coloured white wine with golden hues. 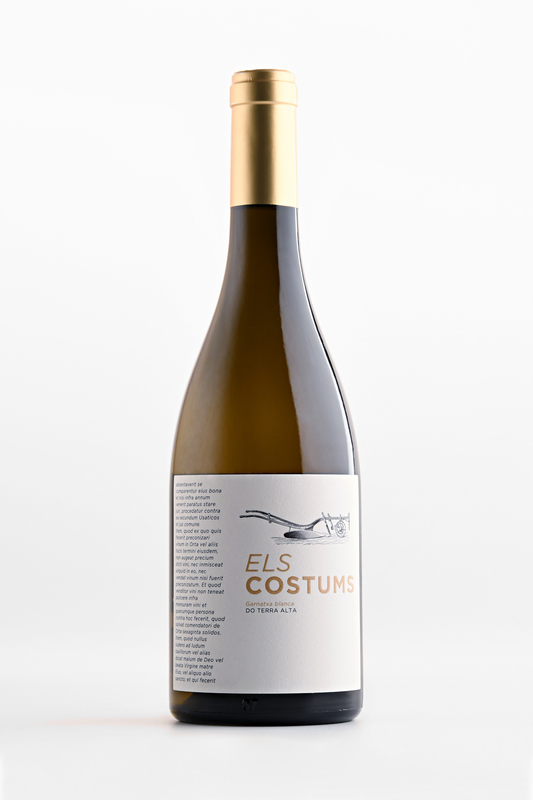 Els Costums Blanco is a wine of significant aromatic intensity. On the nose it transports you to the landscape, scents of white flowers, mainly almond blossom, and notes that reminisce hard white fruit. On the palate it has good acidity, while being refreshing and peaceful with a touch of character. An ideal wine for savouring in the best company, and for accompanying seafood and seafood rice dishes.